The project has been submitted for script writing at Sodec. In 2001, the lives of Shannon's citizens is shatered when they learn that the water from their well is contaminated by a toxic product coming from the nearby military basis of Valcartier since the '50s. 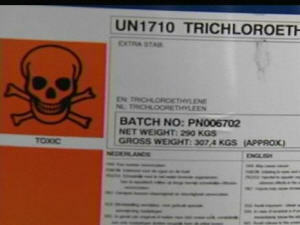 One part of town is particuliarly touched, the "red triangle", where the highest levels of toxicity are found. Alex, Claire and their two children live there.